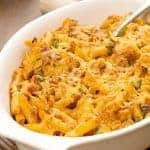 Flavored with a light and simple barbecue-style sauce, this tasty pasta casserole combines tender chunks of chicken with creamy melted cheese, bacon, onion and a bit of fresh cilantro to make an easy one-dish dinner. 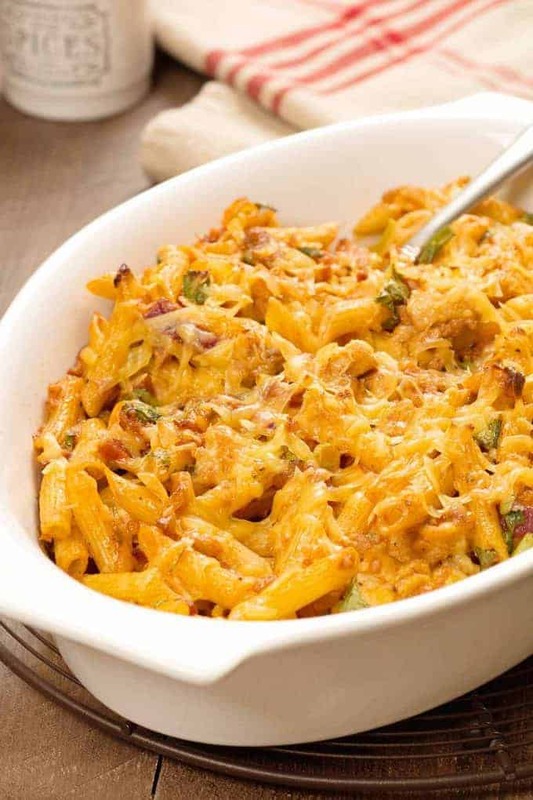 Bite-sized chunks of chicken in a light barbecue-style sauce combine with pasta, bacon, creamy melted gouda and a bit fresh cilantro to make this flavorful baked pasta casserole. 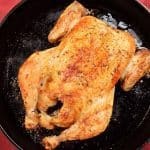 Preheat the oven to 375°F and generously coat a 1-1/2 quart casserole dish with nonstick spray. 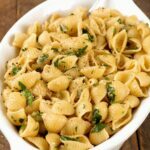 Cook and drain the pasta according to package directions and set aside. Fry the bacon until crisp, transfer to a paper towel-lined plate and set aside. Drain all but 2 tablespoons of fat from the pan and add the red onion. 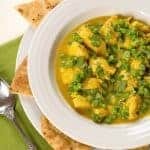 Sauté the onion until softened, 2 minutes, then add the chicken and continue cooking, stirring often, until the chicken is cooked through, 3 to 4 minutes longer. Remove the pan from the heat, add the reserved bacon and combine. Season to taste with salt and pepper and set aside to cool for 5 minutes. 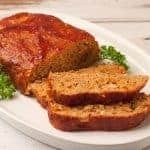 While the chicken cools, prepare the sauce by combining the ketchup, honey, soy sauce, vinegar and mustard in a measuring cup. Stir in the chipotle pepper sauce to taste. Add the sauce to the chicken mixture along with the scallions, cilantro and all but 1/4 cup of the grated cheese. Transfer to the prepared casserole dish and top with the remaining cheese. Bake uncovered for 15 minutes. Serve immediately.